Sharing Bickendorf in 1919 was No 70 Squadron, also equipped with Sopwith Snipes and distinctively marked. The Sopwith Snipes of ‘C’ Flight, No 43 Squadron, at Bickendorf, Cologne, Spring 1919. The application of the squadron markings to the upper wing was unorthodox, but possibly a post-Armistice embellishment. These Snipes display interesting variations of fin, rudder and aileron combinations. Another training unit aircraft was this D.H.9 of the initial production batch (C6051-C6121) built by the Aircraft Manufacturing Company. The aircraft appears to be C6088. Sopwith Camel C99 in the hands of a salvage party. It was one of 200 (C1-C200) built by the British Nieuport & General Aircraft Company Ltd, of Cricklewood, for which the 130 h.p. Clerget engine was specified. This Avro, C637, was probably a 504J and was one of the batch C551-C750 built by the Humber Motor Company in Coventry. The two vertical rails behind the rear cockpit were a camera mounting and suggest that the aircraft belonged to a school of photography. Ministering to a Sopwith Dolphin I. The top cowling panel above the engine has been removed, revealing that the Vickers guns are not fitted. Evidently of a training unit, this Dolphin was one of the first Sopwith-built production batch of 500 (C3777-C4276). 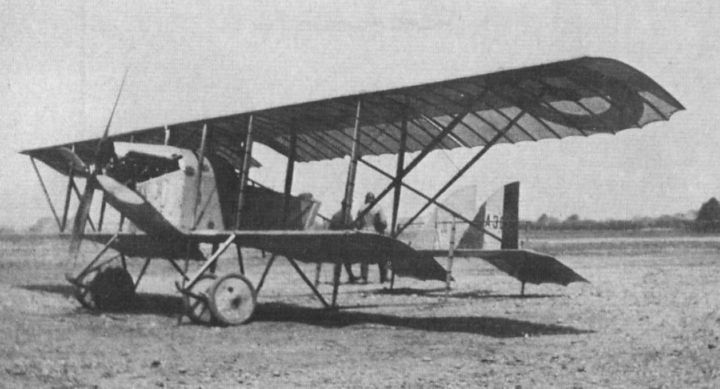 A Caudron G.III of the batch A3024-A3048, built by British Caudron in the late summer of 1916. Its engine is a 70 h.p. Renault, which apparently was commonly fitted to Caudrons of this batch as well as the previous batch (A1892-A1901). 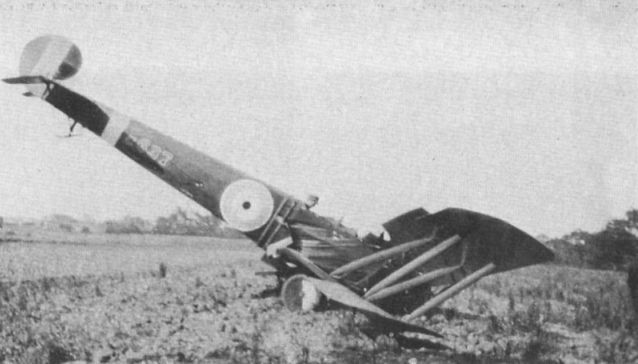 The second Sopwith Buffalo, H5893, after crashing on arrival at Bickendorf, Cologne, for attachment to No 43 Squadron in 1919. The unlucky pilot was Lt N. C. Forester, who is said to have stalled the armoured two-seater on the approach.